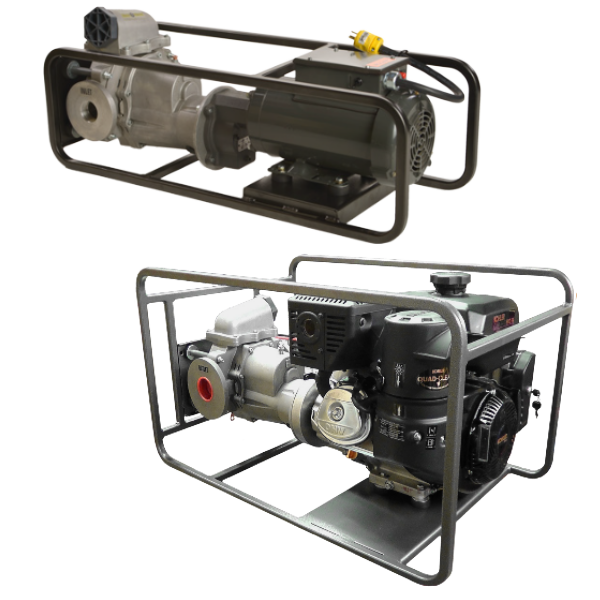 The Blade Master 1500 DC Series, high volume, all purpose transfer pumps deliver up to 45 GPM (170.34 LPM) in Non-Explosive and Explosive Environments. These pumps handle diesel fuels, motor oil, antifreeze, aviation fuel, gasoline, gear lubes and more. The "Blade Master" is a high-volume, low-energy, mobile transfer pump designed for ease of mobility and transferring of light to heavy viscous products at low pressures.